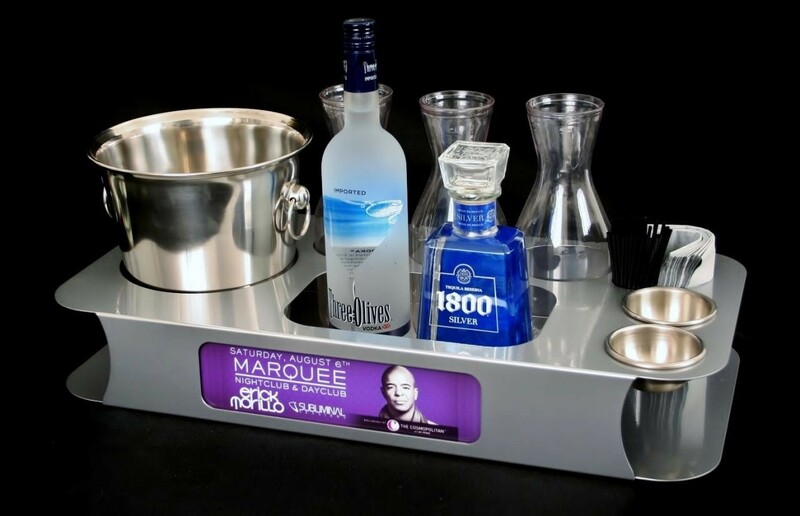 VIP Bottle Service if executed correctly can be one of your main attractions and revenue generators at your Nightclub, Restaurant, Bar, or venue. Hospitality, Customer Service, and the correct Upscale Vibe is key to the success of a High end or any Nightclub/Bar/Lounge. 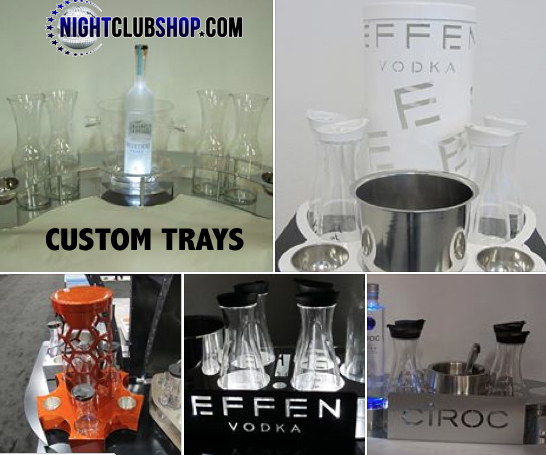 This section was developed for our demanding and high end Venue Owners and Managers to showcase and Highlight some of our most popular products, the most up to date items used in bottle service today worldwide. Treating your custmers like VIPs is the ultimate gesture you can give anyone walking through your doors, making them feel the part, Very important and catering to their special needs and desires. Most Nightclub patrons either enjoy seeing the VIP bottle service in action, or become part of it. 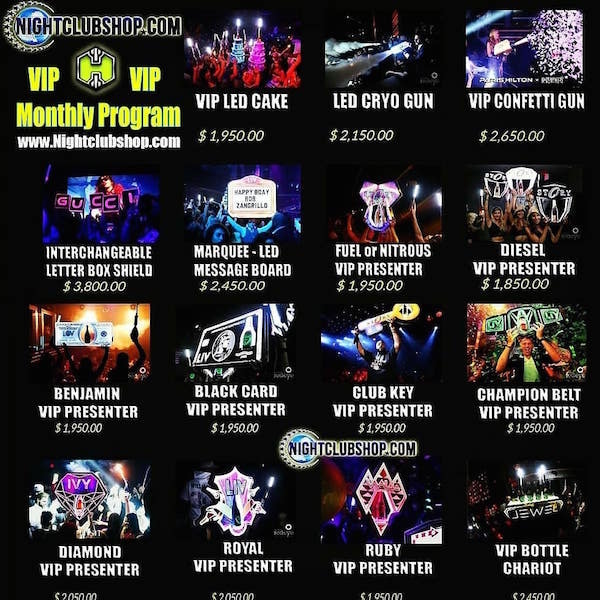 NightclubShop.com will help you make that night very special, memorable, and unlike any other with some of these VIP BOTTLE SERVICE, And VIP TABLE Accessories. 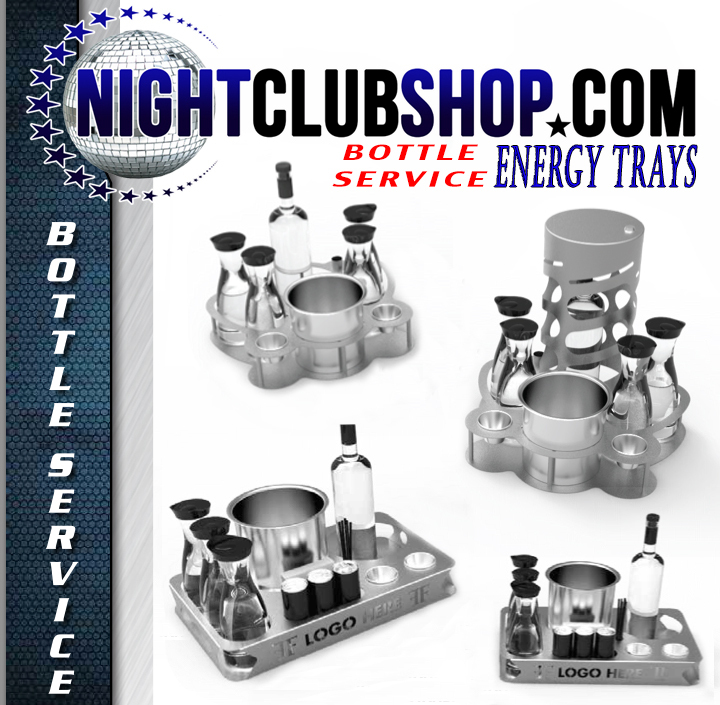 - Delivery Trays and Caddies, Customized VIP Bottle Presenter and LED glorifier Trays, For your Nightclub or Bar. Check out Nightclubshop's "ELITE VIP BOTTLE PRESENTER" With YOUR LOGO, New Batch in Production, attachments for Traditional or LED Sparklers as well as LED Strobe Batons, Headlights with your LOGO, Lights Up Bottle from underneath!